A tech-game development company based in Phoenix, Arizona, Timefire VR, is currently working towards building one of the most ambitious and astonishing virtual reality projects to date. A virtual reality city that can be explored by users who can help to grow and flourish it further. 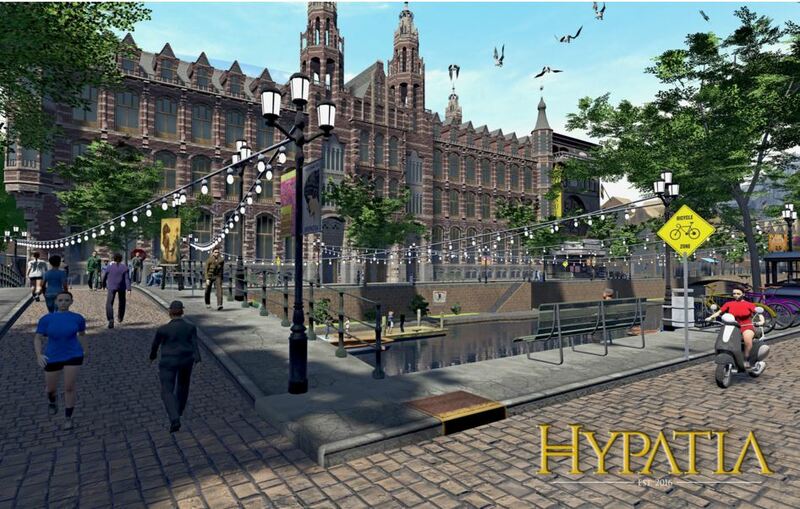 The virtual reality city, Hypatia, is named after an old European authentic city. The city is known to unite and bring together people from different corners, and is a safe place where users can explore, learn, meet friends and family, be entertained or entertain others and explore ideas and thoughts. It is reckoned as peaceful place where users will be able to discover their inner brilliance and explore their imagination, mind, and self. With more than 70 miles of streets, Hypatia allows users to engage in a series of activities that include performing in a band, swimming, rowing a boat on canal, visiting and exploring a museum, painting and drawing a mural, dancing or reading a holographic book. Indulging in these activities can allow the users to earn money, which can be used as a payment source. This city will be available on alpha access in summer 2016. Treat yourself to an exciting experience of virtual reality with a sneak peek of the video of this city of the future.